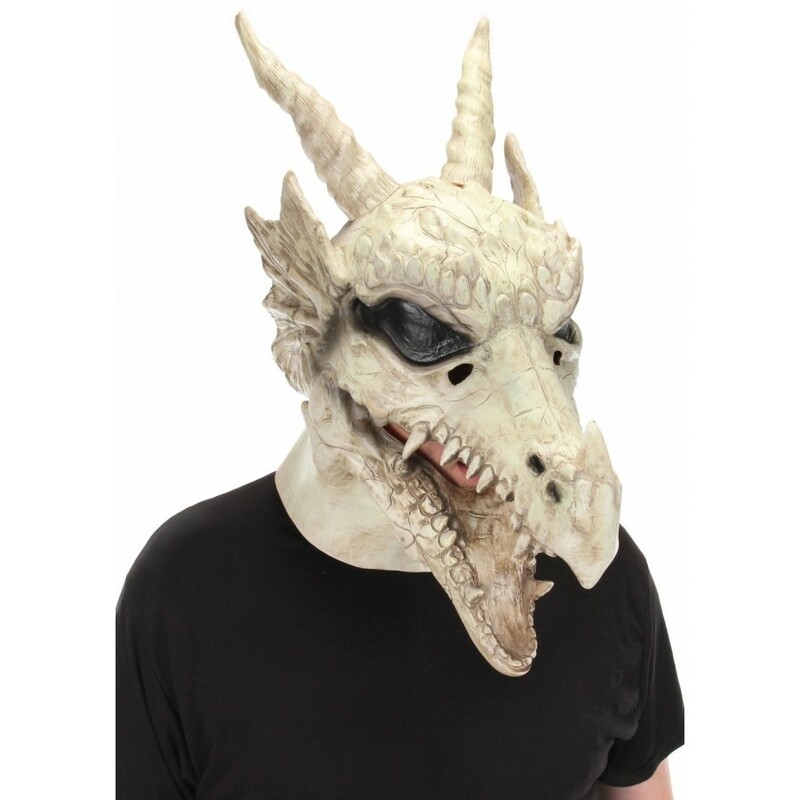 Inspired by dark dragons and spooky castles, this Dragon Skull Mouth Mover Mask features fearsome teeth,winged spines, and two proud horns. 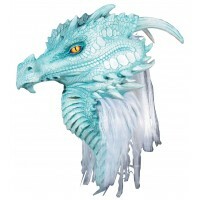 The stories of old will come alive when you wear this elope Originals Dragon skull Mouth Mover Mask. 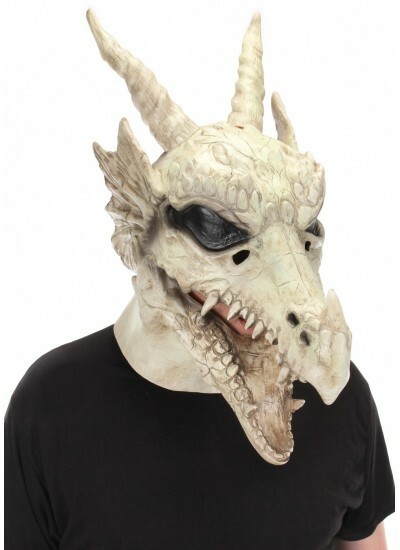 Whether you're looking to build a larger dragon inspired cosplay, or a bit of medieval magic, you'll awaken something long past with this Dragon Skull Mouth Mover Mask by elope. 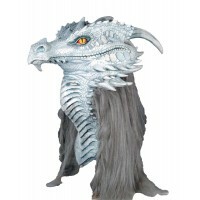 Great for Game of Thrones cosplay! This Mouth Mover Mask features elope's original creative design to create an experience like no other. 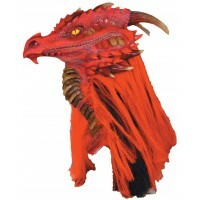 Inside the carefully sculpted mask is durable plastic construction and a comfortable foam chin rest which allows the signature Mouth Mover action. Talk and the mask moves too! An inner elastic headband rests just below the base of your head and is adjustable to ensure each Mouth Mover can fit multiple adult head sizes comfortably. Item Number: EL-444490 | Approximate Size (Inches): 14.96 wide x 22.05 deep x 10.24 high | Approximate Shipping Weight: 3.00 lbs.